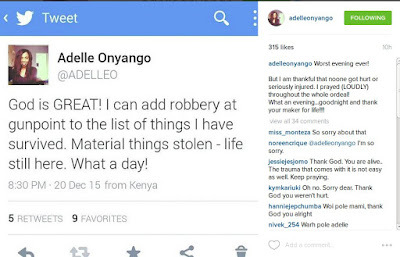 It was a sad Sunday evening for Kiss FM radio presenter Adelle Onyango as she survived an armed robbery. 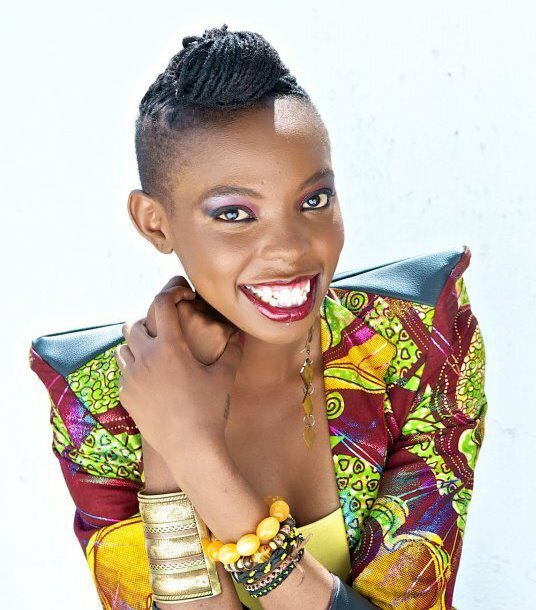 The sultry radio presenter narrated the odeal on social media as she claims she was in the company of her friends during the incident. 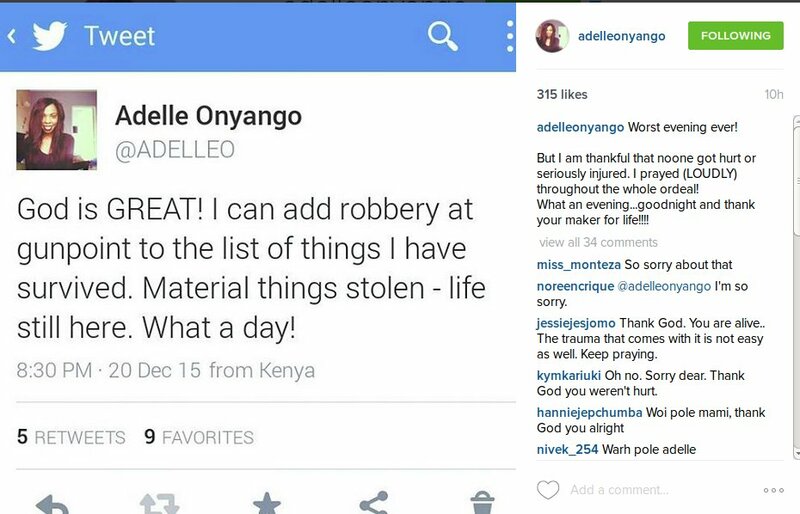 They were robbed off their belongings but luckily non of them was hurt.